Sadiq Khan, London's first Muslim mayor. London's newly elected mayor, Sadiq Khan, and the first Muslim to head a Western capital, attended British Jewry's annual memorial to the millions of Jews slain in the Holocaust as his first official function in office. Khan's appearance at the north London ceremony came on May 8, days after the end of a fiery election campaign in which accusations of antisemitism Islamophobia were bandied. During the campaign Conservative Party opponents sought to portray him as an apologist for Islamic extremism and highlighted cases of alleged anti-Semitism within the ranks of Khan's Labour Party. 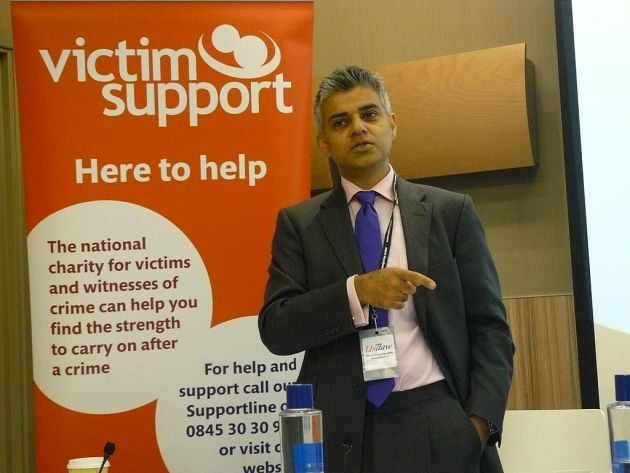 "I'm honoured that my first public engagement will be such a poignant one, where I will meet and hear from Jewish survivors and refugees who went through the unimaginable horrors of the Holocaust, yet have managed to not only build lives here in London, but give so much back for the benefit of wider society," Khan said in a statement. Khan, the whose parents were Pakistani immigrants to Britain pledged to be "a mayor for all Londoners", and attended a reception as part of the Yom HaShoah ceremony at the Barnet Copthall Stadium in north London. Mariam Mendelsohn, 78, a widow originally from Berlin, was among those introduced to Khan. She said: "I wanted to make a decision on him, to see if he will be good to the Jewish people," Britain's Express newspaper reported. "I think he looks like a very, very kind man. He has kind eyes. "Some people have said having a Muslim mayor will mean us Jews will all have to move to Israel, but I do not think so at all....I think he will be good to all people." London's previous Labour Party mayor, Ken Livingstone, was suspended last in April from the party after he claimed that Adolf Hitler was a Zionist. The action came as a number of anti-Semitic posts by Labour Party members surfaced. Khan's father was a bus driver, his mother a seasmstress and he grew up in public housing. The new London mayor started his first day in his new job - by taking the bus to work, Sky News reported. He received a total of 1,310,143 votes - 57 percent of the total - compared to the Conservative Party' Zac Goldsmith's 994,614, after the UK capital had its largest ever turnout at 45.6 percent. Conservative Party candidate Zac Goldsmith accused Khan of giving "platform, oxygen and cover" to Islamic extremists. He also accused Khan of "hiding behind Britain's Muslims" by branding as "Islamophobes" those who shed light on his past, which was serious said the Gatestone Institute, which lobbies vehemently on behalf of Israel. Gatestone quoted Goldsmith as saying, ""The questions are genuine, they are serious. They are about his willingness to share platforms with people who want to 'drown every Israeli Jew in the sea.'" But Khan said, "They used fear and innuendo to try to turn different ethnic and religious groups against each other - something straight out of the Donald Trump playbook. Londoners deserved better and I hope it's something the Conservative party will never try to repeat."